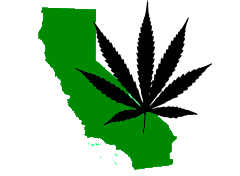 Los Angeles, CA Turn Key Recreational and Medical Licensed Cultivation, Mfg, Distribution! Rare opportunity to acquire a Turn Key, fully built out facility in the SFV. This Turn Key operation includes Fee Simple Real Estate, Licenses, Furniture, Fixtures and Equipment that is well located in the highly desirable SFV. This facility is designed and built to produce over 1000 lbs/year. Training available if desired or needed. Well located near major freeways, bus and metro. All licenses needed for medical and recreational Commercial Cannabis Cultivation, Manufacturing and Distribution in the City of Los Angeles. Third party financing for well qualified borrowers. Possible partial seller financing as well. Be one of the first to be fully licensed and operational in the City of Los Angeles and capture a large market share of the largest cannabis market in the world. Serious inquires please. NDA required prior to release of location.